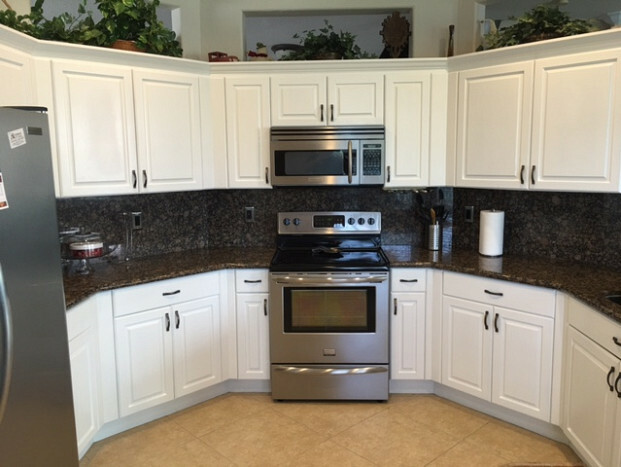 All my wife wanted for Christmas was beautiful white kitchen cabinets ... and I got them repainted just in time. She's still doing backflips! When I asked my wife what she'd like for Christmas, she said she really wanted white kitchen cabinets. 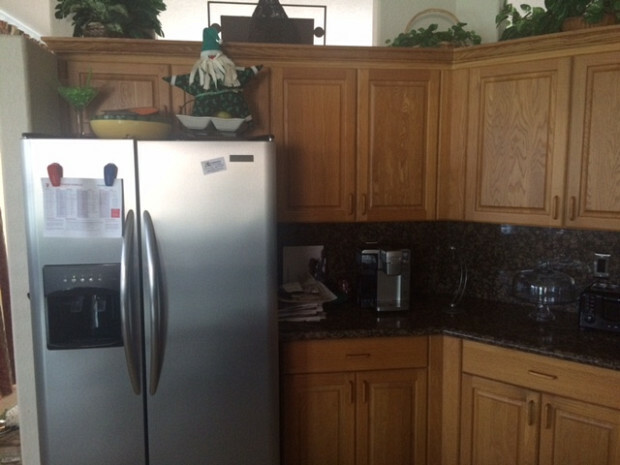 We already had solid oak cabinets that I didn't want to rip out because they were old but still good. It's just we didn't like the finish and decided, "You know what? Let's try painting. Because if we do rip them out, there's a chance that we'll ruin our granite and everything else." So we decided to just go ahead with the painting first. I went online to find someone to do the job. 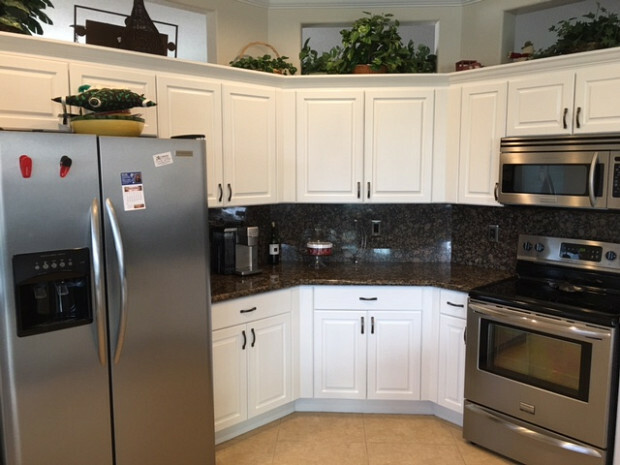 I filled out a form with really detailed information about the cabinets and what we wanted. All of a sudden, 10 minutes after I filled it, I was getting text messages and bids and calls and I'm like, "Who are these people?" I almost didn't call back but then I thought, "Oh wait a minute, it's gotta be a lead generator. It seems legit." In the long run, it worked out better than expected. Networx is a great service, being able to get in touch with that many people, making one phone call or filling out one form. It saved me time, it saved me effort and a bunch of legwork. My information was sent to 4 different people. One of them -- I was out of his area. He was the only one that didn't come out. I think one was a little bit cheaper but I got a good feeling about the guy I chose and the project worked out even better than expected. I had all three of them come out to my place and take a look. They were all in the ballpark of price, except that one guy came back -- I just didn't get a good feeling from him. And then he doubled the price and I said, like, "For painting cabinets that's ridiculous!" What he wanted to charge me, I think it was more than double. I said, "I can go buy new cabinets for that price. You're way out of line." Whatever, I chose not to use him. Between the two other guys, I didn't go with the cheapest one. I'm a somewhat decent judge of character and I felt like Avanzzo Painting Services, the contractor I chose, was a very good guy. Turns out he was. I've already passed his name on to somebody else. And who knows? If all goes well, he might be painting a house also, in my neighborhood. It worked out better than expected. He's from up north and I guess he still has that really good work ethic -- he calls, he confirms everything, he's on top of it. It's his business. He makes sure that you're happy. He goes out of his way for you. He picked up on Monday, December 21st; he was done on Thursday. It was 4 days start to finish. And Monday I don't even really count as a workday. He came and he took off all the cabinets. I actually helped him get them off. I knew time was of the essence because my wife wanted it before Christmas. And we got lucky because I didn't have to change the holes on the cabinets either. At first I was thinking of changing the handles. We were going to go with a single pull, so I would have had to fill in one of the holes but we decided not to and it worked out. They were 3 3/4" holes and we were able to find new hardware that fit. We got rid of the wood handles and we went with some kind of metal handle that ended up looking great with everything. Our contractor said he could get it done and he did. We actually had family over for Christmas Eve, Thursday night, and he finished that morning. It was done, just like he said. Is my wife happy? She's still doing backflips! We're both super, super happy. It exceeded our expectations. The pictures don't even do it justice. It's bizarre -- everybody that walks in asks, "Oh, did you get new granite?" And I'm like, "Nope. 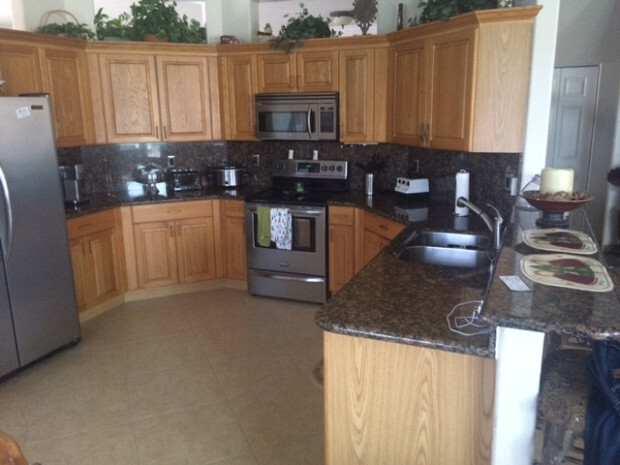 Same granite, different cabinets, different color." So I would say it's a dramatic, dramatic change. My advice if you want to paint your cabinets: get a couple estimates. Every job's going to be probably slightly different.. Get somebody that you're comfortable with who has a reputation. Look at his Facebook page and check his references. And like I said, I didn't go with the cheapest, I went with somebody I got a good feeling from, and it paid off. Beautiful Tile Backsplash Completes our Kitchen Remodel by Dale A.